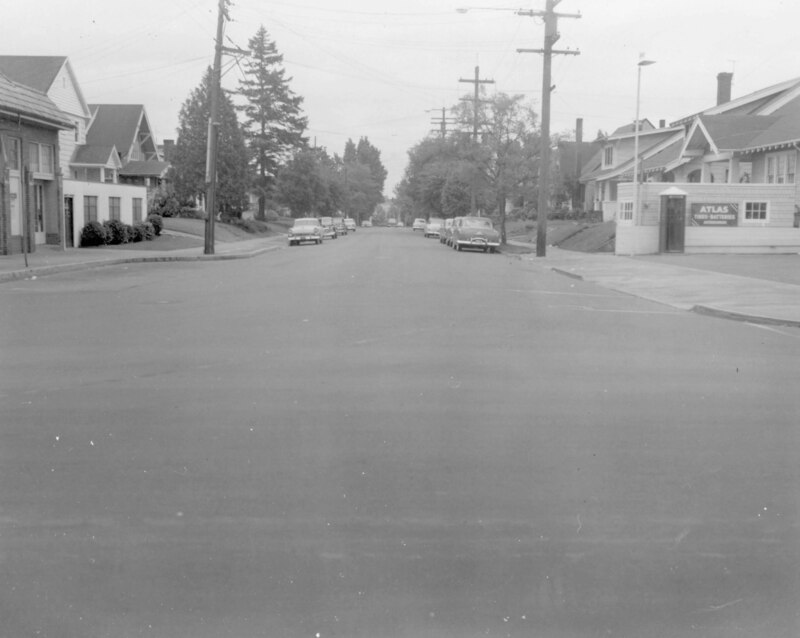 This image shows the Beaumont-Wilshire neighborhood of Northeast Portland in 1958. 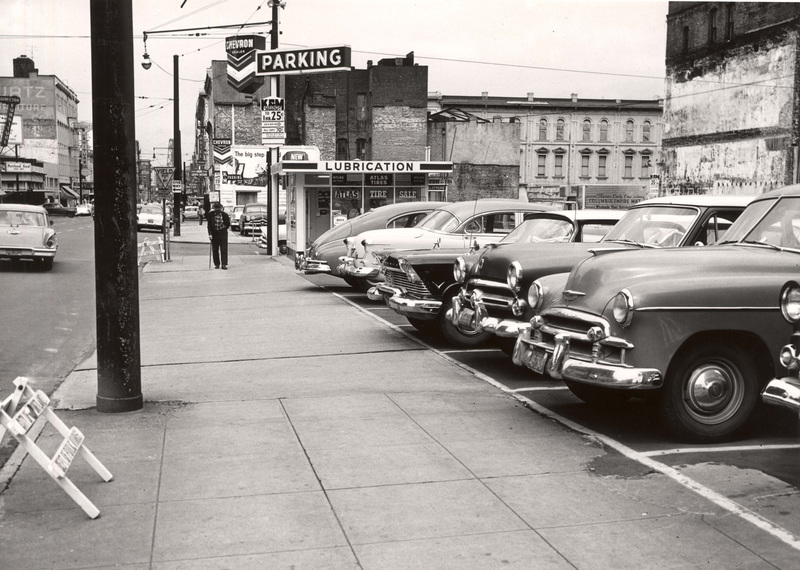 The view looks south on NE 41st Avenue from Fremont Street. Apparently the first house on the right no longer exists.